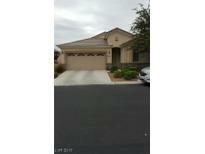 Below you can view all the homes for sale in the Shadowbrook Falls subdivision located in Las Vegas Nevada. Listings in Shadowbrook Falls are updated daily from data we receive from the Las Vegas multiple listing service. To learn more about any of these homes or to receive custom notifications when a new property is listed for sale in Shadowbrook Falls, give us a call at 702-323-5933. Gourmet Kitchen with ALL Stainless Steel Appliances that are INCLUDED! MLS#2087573. Realty ONE Group, Inc.
3 Bedroom, 2 Bath Home, Located In A Gated Community, Kitchen Has Tile Counters, Breakfast Bar, Ceiling Fans, Blinds, Low Maintenance Yard With Covered Patio. MLS#2084849. RentVest Nevada. Bedrooms are at two different ends of the home leaving the master with a tranquil atmosphere. Property currently occupied by tenant. MLS#1871658. RX Realty.